We know that the thought of using lavender to create a mature space can be enough to give some anxiety. 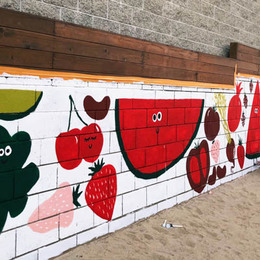 While light hues and pastels are often associated with children’s rooms, we’ve seen colors like Millennial Pink breakthrough as a new neutral of sorts in everything from hospitality to residential design. 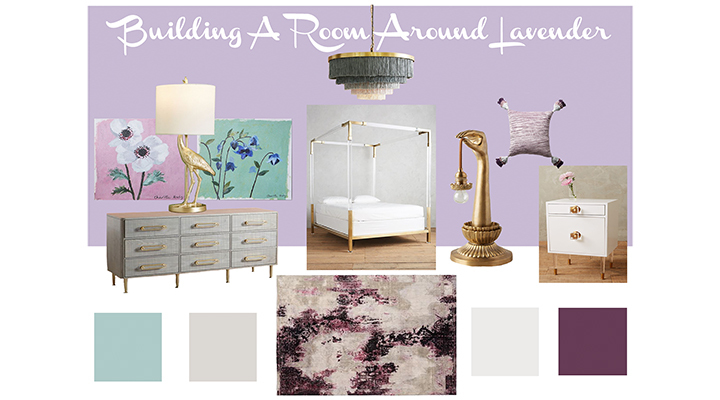 Much like soft pinks, lavenders are primed to be the next new neutral. 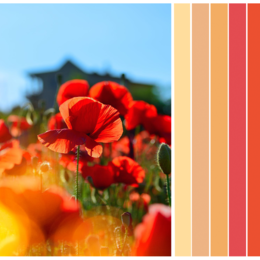 In fact, Dunn-Edwards color expert Sara McLean even noted the color’s emergence in this spring's trending color palettes. Still not sure how to make this color work for you? 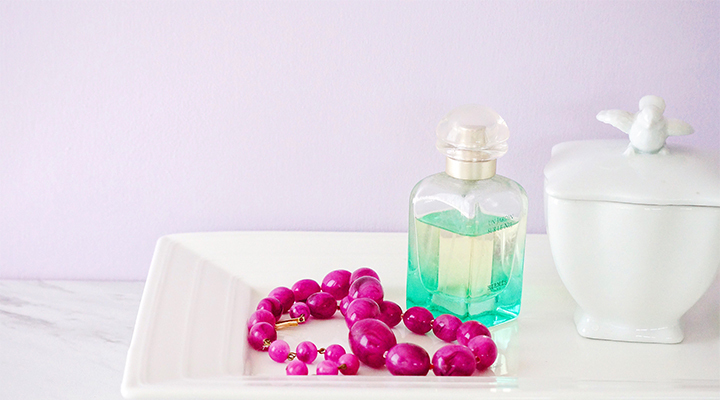 Just keep scrolling and let us help you figure out how to effectively upgrade your space by using lavender. Lavender comes in a variety of shades from those with pale, pink undertones to those with cooler gray undertones. 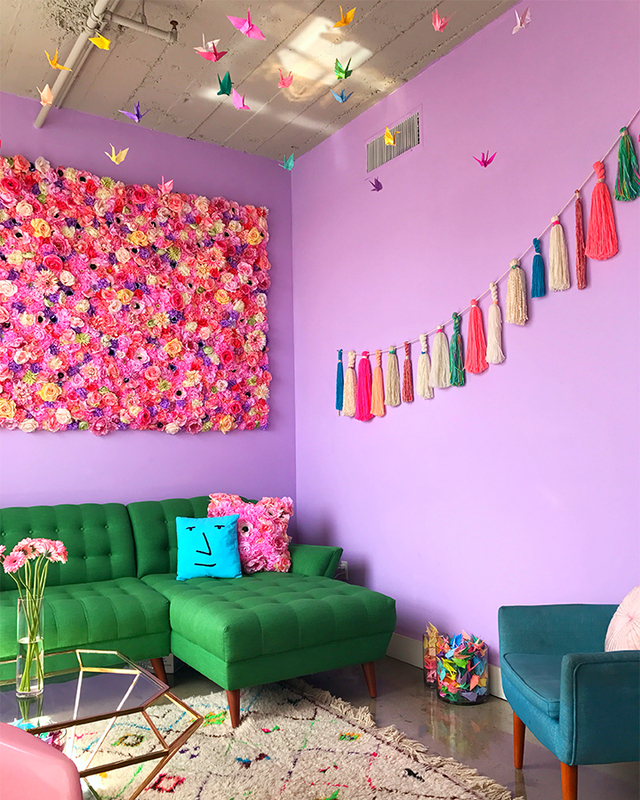 Lavender is a color that’s associated with growth and springtime, making it a perfect fit for current projects — and its youthful and creative vibe mean that can be the perfect color no what season we’re in. 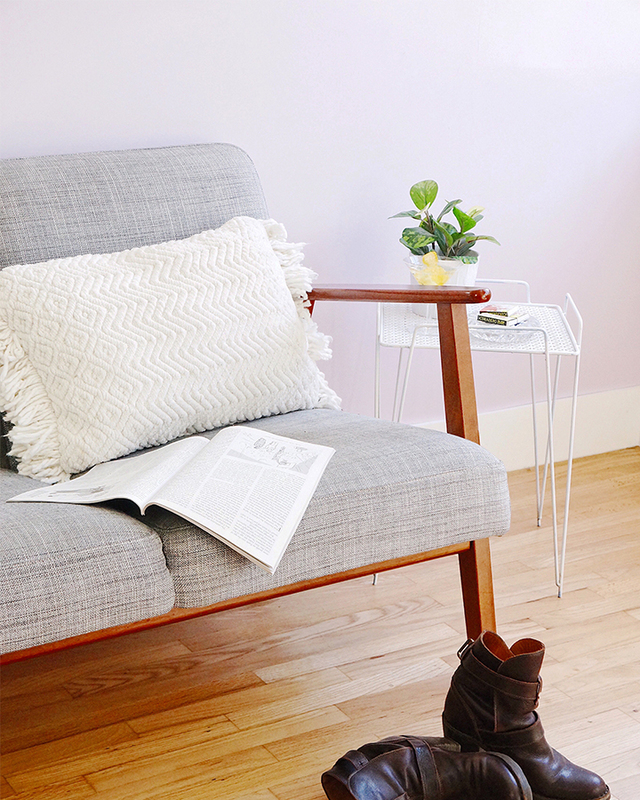 Just check out how gorgeous First Lilac looks in this living room space. We told you it was versatile! Throughout history, purple and lavenders hues have often been associated with royalty. Running with that theme, we decided to put together a sophisticated yet fun space. The focal color used in this bedroom is Soft Purple (DE5954), accompanied by Seaport (DE5744), Heirloom Shade (DEW395), Lace Veil (DE6372) and Primitive Plum (DEA195) as accent colors. The key to creating a balanced color palette is to choose pieces that tie in with one another. An example of this is the moodboard noted above — the gray dresser tying in with the gray shades in the area rug. It can also apply to minor details like the ombré tassels in the pendent light and the ombré tassels in the decorative pillow. Looking to get started with lavender? For the relaxing atmosphere lavenders create, we recommend giving it a go in a bedroom, bathroom or study. Dunn-Edwards Paints has a shade of lavender that’s right for your project. 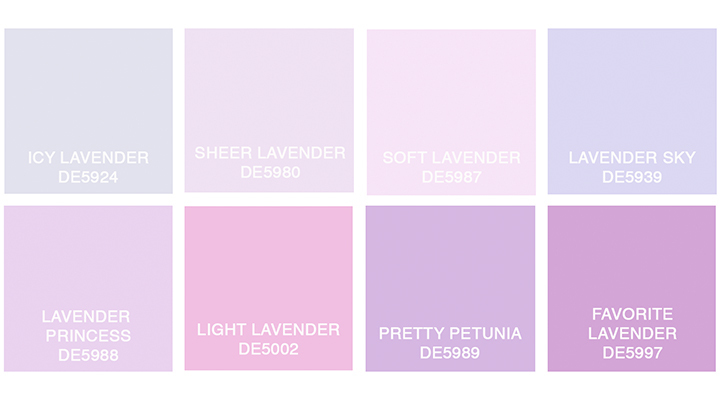 And, if you’re looking for a lavender with more pop like Studio Mucci, try a shade like Pretty Petunia, May’s own Color of the Month, or Lavender Princess, Light Lavender, Favorite Lavender and Lavender Sweater. 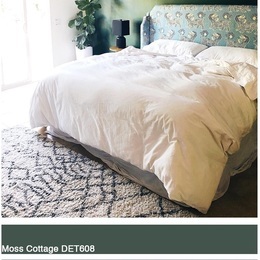 Download our InstaColor® app and upload a photo from your own library or one from ours to get an idea of how these lavender shades can be incorporated into your style. Dunn-Edwards paint colors are composed of the highest-quality paint trusted by both design experts and painting professionals. 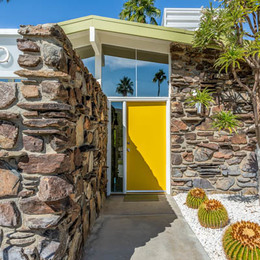 Dunn-Edwards is also committed to bringing you the freshest paint colors for commercial, residential and exterior uses.